The Torah begins with Beresheet, the famous account of Creation. In recent times, many have questioned the validity of this narrative in light of the findings of modern science. 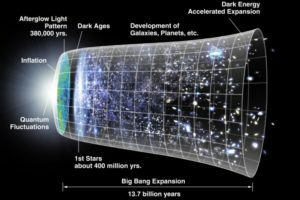 In reality, the Torah’s account is quite accurate in scientific terms, and the Jewish tradition described the origins of the universe and its age with stunning precision centuries before modern science caught up. The current scientific model holds that 13.7 billion years ago, the entire universe was compacted into a super tiny point with infinite density. For some unknown reason, this point suddenly burst in a massively vast and rapid expansion of energy and radiation. As the early universe cooled and expanded, particles began to form, and then whole atoms, starting with hydrogen. Hydrogen atoms fused into helium atoms, and later on heavy elements formed from further fusion in the cores of stars and their explosions. Everything that we see today—the entire universe and all matter within it—emerged from that initial expansion, “the Big Bang”. …if you were to shut off the sun, remove the other stars from the Milky Way, and even sweep away the most distant galaxies, space would not be black. To the human eye it would appear black, but if you could see radiation in the microwave part of the spectrum, then every which way you turned, you’d see a uniform glow. It’s origin? The origin. The universe is glowing, it’s just that most people cannot see it because human eyes perceive only a very narrow part of the electromagnetic spectrum, which we call “visible light”. Light of a higher energy and frequency includes dangerous x-rays and gamma rays, while light of lower energy and frequency includes microwaves and radio waves. The seeming blackness of the universe is actually radiating with light—we simply cannot see it. Incredibly, this is precisely what the Torah states. The electromagnetic spectrum. Visible light makes up just a tiny sliver of the spectrum. Some living organisms can see in UV or infrared wavelengths. We read in the Tanakh (Daniel 12:3) that “they who are wise shall shine as bright as the rakia…” The Torah tells us that God established a rakia (wrongly translated as “firmament”) on the second day of Creation, and this is where all the stars and planets are suspended (Genesis 1:15). The Talmud (Chagigah 12a), composed over 1500 years ago, further elaborates that above the earth is the vilon, the atmosphere that stretches over the planet, and beyond the vilon is the rakia, a vast expanse within which are all the stars. Beyond the rakia is a region called shechakim, the interface between the physical and spiritual realms, and further still are the highest levels of the Heavens, inhabited by angels and transcendental beings. From this, and other ancient sources, it is clear that rakia refers to outer space. Daniel tells us that the wise will shine like the rakia, and goes on to state that “they who turn the many to righteousness [shall shine] as the stars”. We can understand how people might shine bright like stars, but why would Daniel say the rakia is shining? Outer space is totally dark! Of course, as Brian Greene described, today we know that the universe is indeed glowing. One of the most ancient Jewish mystical texts is Sefer HaBahir. According to tradition, it dates back some two thousand years, and was first published at least seven hundred years ago. This book gets its name from another verse in the Tanakh (Job 37:21), which states “And now, men do not see the light that is bright [bahir] in the skies.” Once again, Scripture tells us that the universe is glowing with a bright light that humans are unable to perceive. Science has found that this glow comes from the Big Bang, and this too is accurately described by the most famous of Jewish mystical texts, the Zohar. 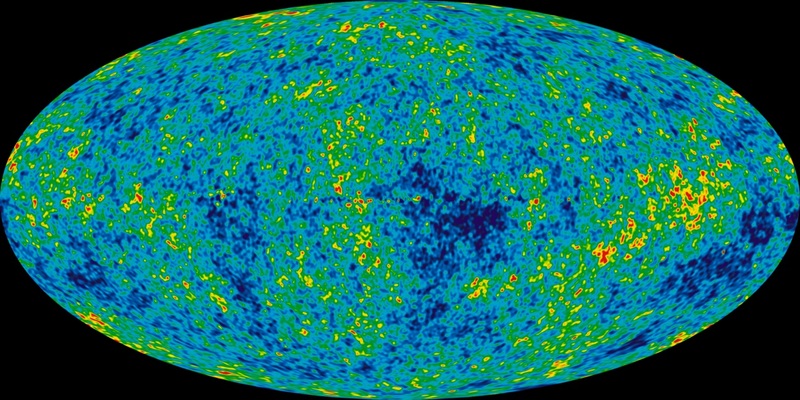 Cosmic Microwave Background Radiation, the glow of the universe, discovered in the 1960s by Robert Wilson and Jewish physicist Arno Penzias. When the Most Concealed One [God] began to create, He first made a singular point, with which he then brought forth all thought, drew all blueprints, and carved out all things… And the secret of “In the beginning, God created…” [Genesis 1:1] is radiance [zohar], from which all Utterances were created, in the secret of the expansion of that point of radiance. Many centuries ago, the Zohar accurately and elegantly sums up the findings of modern science. God first created a tiny singular point which burst forth in light, and from which He “carved out” all things in existence. All of God’s Utterances (since the Torah says God created by speaking: “And God said ‘Let there be light.’”) came forth from the expansion of that initial primordial radiance. All that remains is the seeming contradiction in time. Science estimates 13.7 billion years, while the Torah speaks of six days. Of course, the nature of a “day” in the account of Creation is flexible, considering there was no Earth, sun, or moon until the third and fourth days (so how could there be a 24 hour day as we know it before this?) There were also no humans at this point, and the Torah describes Creation from the perspective of God, for whom “a thousand years is like one passing day” (Psalms 90:4). The fact that time runs differently for man and God actually highlights another scientific principle, as revealed by Albert Einstein. Einstein’s theory of relativity holds that the passing of time varies depending on an entity’s speed. A person who could board a spaceship and fly near light-speed would experience very slow time. A few days for this person would be equivalent to many years on Earth. 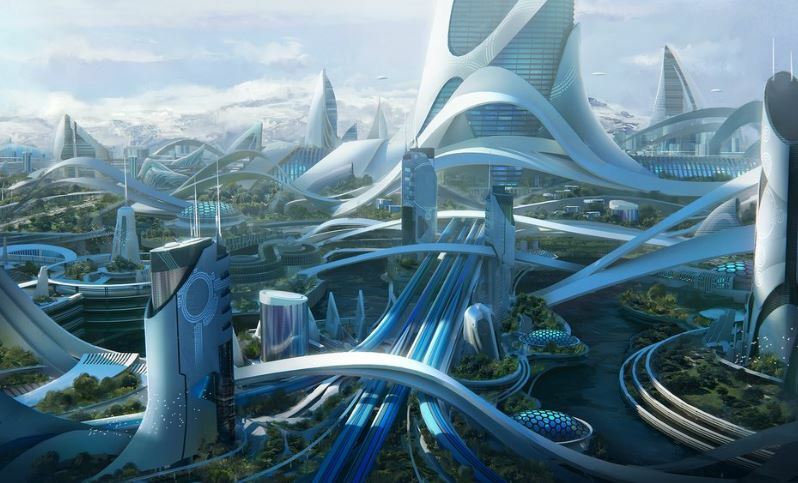 (This theme has been explored in countless science fiction books and films, including 2014’s Interstellar.) The Lubavitcher Rebbe often cited this fact to conclude that arguing about apparent space-time contradictions is therefore quite pointless. Meanwhile, physicist Gerald Schroeder has mathematically calculated that six days could be equivalent to 13.7 billion years when factoring in the universe’s expansion. After all, we are looking back in time at an ancient universe through human eyes, while God was looking forward in time from the universe’s first moments. 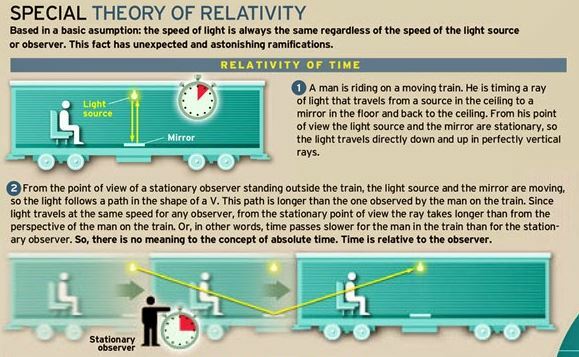 An infographic explaining the relativity of time. Note the conclusion: “there is no meaning to the concept of absolute time.” The whole debate of 6 days vs 13.7 billion years is therefore quite meaningless. Physicist and Rabbi Aryeh Kaplan explored this issue extensively and cites multiple ancient Jewish texts that support the notion of a very ancient universe (see his book Kabbalah and the Age of the Universe). 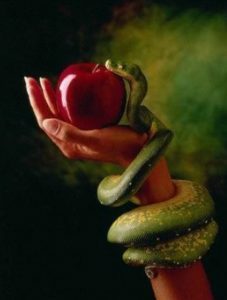 In multiple places, the Midrash states that before creating this world, God was creating and destroying many previous worlds (see, for example, Kohelet Rabbah 3:14), while the Talmud calculates that “there were 974 generations before Adam” (Chagigah 13b, Shabbat 88a). Compared to the current best estimate of science at 13.7 billion years, it is amazing that one can come to a very similar number by simply putting together a few Torah verses. What we see from all of the above is that ancient Jewish texts describe the universe’s origins in absolutely perfect detail. And it is only in recent decades that science has finally caught up. In many other ways, too, science has a lot of catching up to do. This entry was posted in Torah & Science and tagged Age of the Universe, Albert Einstein, Beresheet (Parasha), Big Bang, Book of Daniel, Book of Job, Brian Greene, Chagigah (Tractate), Cosmic Microwave Background Radiation, Cosmology, Creation, Electromagnetic Spectrum, Genesis, Gerald Schroeder, Heaven, Kabbalah, Lubavitcher Rebbe, Maase Beresheet, Midrash, Midrash Rabbah, Physics, Psalms, Rabbi Aryeh Kaplan, Radiation, Rakia, Science, Sefer HaBahir, Shabbat (Tractate), Shechakim, Singularity, Space, Ten Utterances, Theory of Relativity, Time, Universe, Vilon, Zohar, Zohar haRakia on October 16, 2017 by Efraim Palvanov. This week we begin reading the Torah anew, starting from the very first portion, Beresheet. The first chapter famously recounts God’s creation of the universe. Although the account in Genesis is itself quite brief, the Jewish sages had much to say about the events of creation. This was a topic of particular interest to the Kabbalists. In fact, Kabbalistic teachings are usually divided between two main headings: Ma’ase Beresheet, “the Work (or Narrative) of creation”, and Ma’ase Merkavah, “the Work (or Narrative) of the Chariot”. The former explores the genesis and nature of the universe, along with many metaphysical concepts, while the latter is primarily focused on various aspects of God, and vehicles of prophecy. One of the earliest known Kabbalistic texts is Sefer Yetzirah, the ‘Book of Formation’. This book outlines how God created the universe, mainly focusing on the letters of the Hebrew alphabet. Since we see in the Torah that God created the world through speech (“God said ‘Let there be light’…”), it is concluded that the building blocks of the universe must be the letters of the Hebrew alphabet. Everything that exists was fashioned out of unique combinations of these special letters. Along with the 22 letters were the 10 sefirot, divine energies that imbue everything within creation. These 10 sefirot correspond to the 10 digits, from 0 to 9 (and hence, the root of sefirah is the same as that of the Hebrew for number, mispar). Just as modern physicists might argue that the entire universe can be reduced to mathematical equations, Sefer Yetzirah reduces all of creation down to the base numbers and letters. And so, Sefer Yetzirah begins by stating that God created the universe through lamed-bet netivot, “thirty-two paths” of creation. Sefer Yetzirah is first explicitly mentioned over 1500 years ago in the Talmud (Sanhedrin 65b), where Rabbi Chanina and Rabbi Oshaia studied it together on Friday afternoons. Using the secrets described in the text, the two rabbis learned how to create ex nihilo, like God. Each Friday, they would team up to create a calf from thin air, and eat it! It is said that the patriarch Abraham was capable of the same feat. The 18th chapter of Genesis describes the well-known story of the three angels that visited Abraham. It then says that Abraham “took butter and milk, and the calf which he had made, and set it before them…” (Genesis 18:8). Many have asked: how is it possible that the forefather of the Jewish people gave his guests a mixture of dairy and meat products? The simple answer is that, of course, Abraham preceded the giving of the Torah, and at that time there was still no prohibition on consuming dairy and meat together. However, Jewish tradition maintains that although the forefathers lived before the giving of the Torah, they still fulfilled its precepts through an oral tradition, and from the prophecies they received from God. So, how did Abraham put both dairy and meat before his guests? The Malbim’s commentary on the verse quotes earlier mystical teachings that say Abraham knew the secrets of Sefer Yetzirah and fashioned the calf from scratch. This is why the verse clearly says “…and the calf which he had made [asher asah]”. Since Abraham made the calf, it was only a hunk of flesh, with no divine soul (which only God can infuse), and was therefore pareve, considered neither dairy nor meat. Jewish tradition holds that Abraham was actually the author of Sefer Yetzirah. Others believe it was written by Rabbi Akiva, based on teachings that were initially revealed by Abraham. Either way, today Sefer Yetzirah has been made available through an excellent translation by Rabbi Aryeh Kaplan. Rabbi Kaplan carefully translated several versions of the text, and included rich commentary and explanations in the book. Anyone interested in a deeper understanding of the foundations of the Hebrew alphabet, the nature of creation and the elements, as well as a Jewish take on meditation, astrology and cosmology, should definitely undertake a careful study of this important book. Sefer Yetzirah breaks down the Hebrew alphabet into three groups: the “mothers”, the “doubles”, and the “elementals”. There are three mother letters: aleph (א), mem (מ), and shin (ש). These are the mothers because each is associated with one of the three primordial elements of creation: aleph is the root of air (avir, אויר), mem is the root of water (mayim, מים), and shin is the root of fire (esh, אש). These three correspond to the three times that the Torah says “God created” (Genesis 1:1, 21, and 27). There are then 7 double letters, those that have two sounds in Hebrew: beit (ב), gimel (ג), dalet (ד), kaf (כ), pei (פ), reish (ר), and tav (ת). 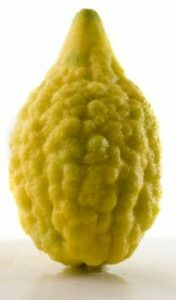 (It should be noted that unfortunately, modern-day Hebrew has lost the double sounds of the gimel and reish.) These seven correspond to the seven times that the Torah says “God saw” (Genesis 1:4, 10, 12, 18, 21, 25, 31). The remaining 12 letters are known as the “elementals”, and correspond to the remaining 12 times that God is mentioned. So, the 32 paths derive from the 32 times that God is mentioned in Genesis, and further broken down into their groupings of 10, 3, 7, and 12 based on the specific type of verb used in relation to God. 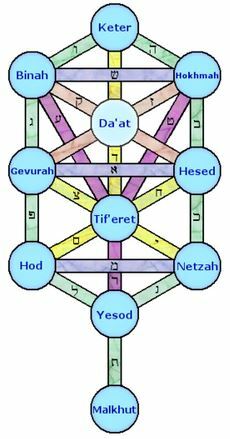 Finally, all of these are embedded into the Etz Chaim, the “Tree of Life”, the most famous of Kabbalistic diagrams, and one we have discussed on several occasions in the past. The 10 blue circles on the diagram correspond to the 10 sefirot. The sefirot are interconnected by 22 lines, corresponding to the 22 letters. There are three horizontal lines, corresponding to the three mother letters; seven vertical lines, corresponding to the seven double letters; and twelve diagonal lines, corresponding to the twelve elemental letters. 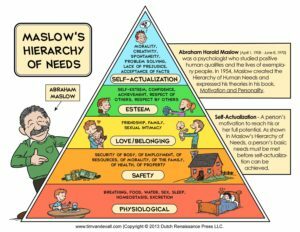 This simple diagram amazingly captures a great deal of information, and is therefore a key foundation of Kabbalistic thought – as well as the first step towards creating your very own calf! 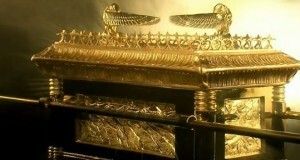 This entry was posted in Kabbalah & Mysticism, Mysteries & Origins and tagged 32 Paths, Abraham, Air, Alphabet, Beresheet (Parasha), Creation, Digits, Divine Chariot, Elements, Fire, Genesis, God's Names, Hebrew, Kabbalah, Maase Beresheet, Maase Merkavah, Rabbi Akiva, Rabbi Aryeh Kaplan, Rabbi Chanina, Rabbi Oshaia, Sefer Yetzirah, Sefirot, Tree of Life (Sefirot), Water on October 8, 2015 by Efraim Palvanov.